"Glory to Jesus Christ! Glory forever!" 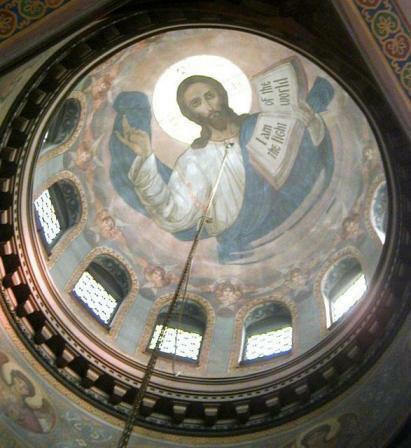 Welcome to the website of the oldest Orthodox Christian Church in the State of Ohio! 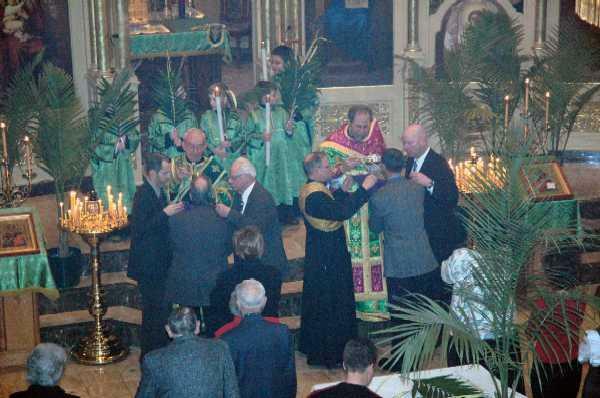 We are a parish of the Orthodox Church in America's Diocese of the Midwest. We are delighted that you came for a visit! Take a look around at who we are and what we do. Our historic cathedral was constructed between 1911-1912 and is considered one of the finest examples of Russian church architecture in the United States. It is listed on the National Register of Historic Places in the United States. 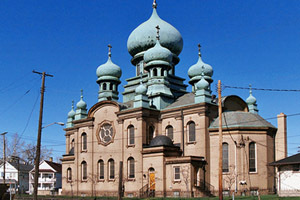 The parish of St.Theodosius Orthodox Christian Cathedral was organized by immigrant Russians living in Tremont in 1896. It served the needs of Orthodox Christian faithful of diverse ethnicities until they moved out of the city and into the suburbs to establish their own places of worship. St. Theodosius Cathedral was the "Mother Church" for most of the Orthodox Christian churches in northeast Ohio today. St. Theodosius Cathedral is located at 733 Starkweather Avenue in the Tremont community of Cleveland, Ohio. St. Theodosius is located in the historic Tremont area of the City of Cleveland. 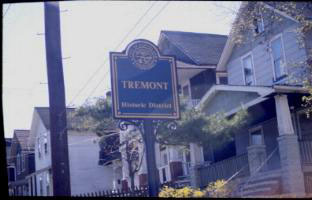 Tremont is the most accessible neighborhood in the city of Cleveland. Interstate highways I-71, I-77 and I-90 have exit ramps into Tremont and afford ready and easy availability to St. Theodosius Cathedral. As the Lord Jesus Christ said to the Apostle Andrew; "Come and See" what we and the Orthodox Church are all about!